Our Climatedogs drive Australia’s climate in different ways at different times of the year. ENSO and Indy are currently both still neutral. 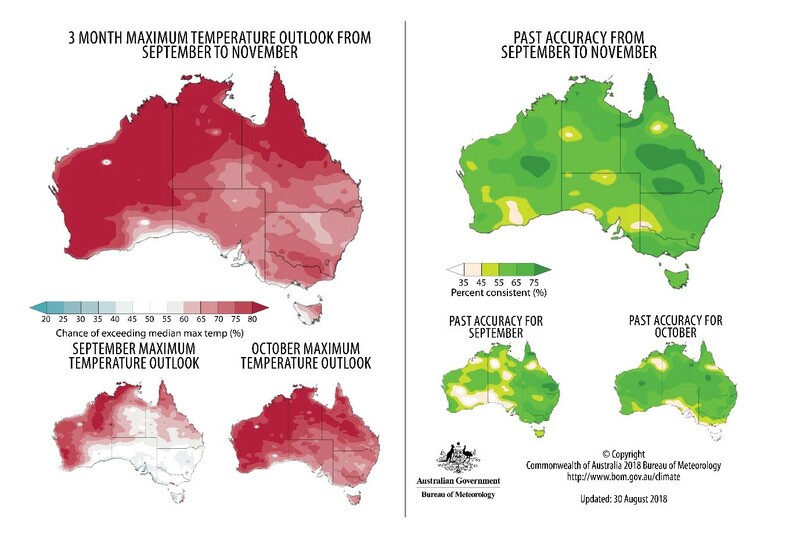 September is forecast to be average or drier than average across all of Australia in spring. Both Enso and Indy are predicted to move to El Niño and positive IOD respectively in spring. 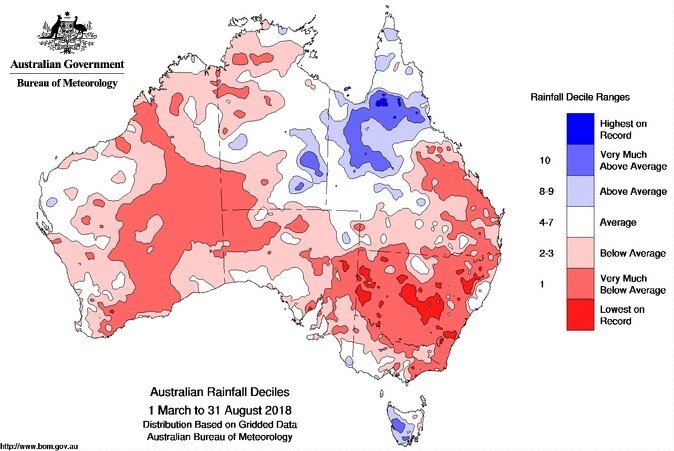 So far, large areas of Australia are looking dry, with areas experiencing their lowest rainfall on record, but with no clear influence from the Climatedogs. Figure 1. Rainfall deciles for August 2018. Figure 2. Rainfall deciles for March to August 2018. The forecast for September is for conditions to remain dry for the majority of the country. All areas are predicted to experience average to below average rainfall for spring (September to November). Figure 3. 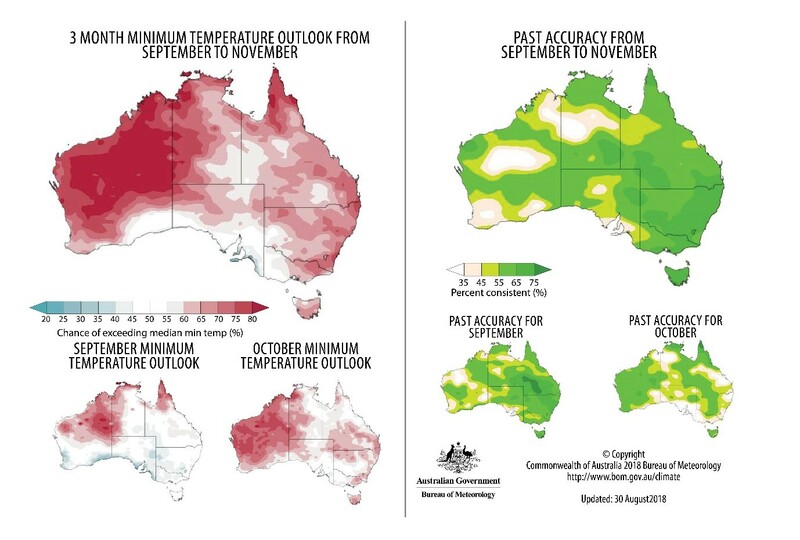 Australian outlook for September to October 2018. Maximum temperatures have been above average across both the eastern and western cropping regions, while minimums have been mostly average, except for the slightly warmer northern region and the Victorian/Tasmanian region. 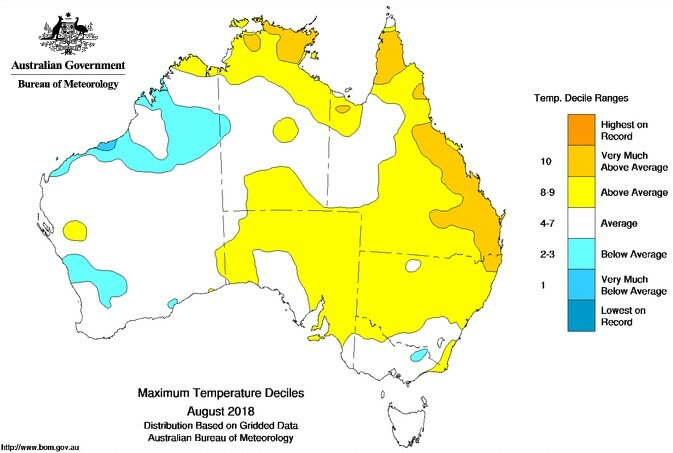 Figure 4. maximum temperature deciles for August 2018. 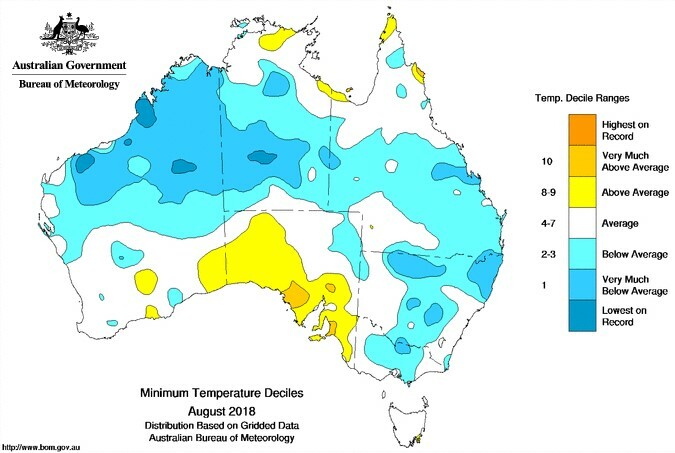 Figure 5. minimum temperature deciles for July 2018. Figure 5. Minimum temperature deciles for August 2018. Forecasts suggest the whole country will experience above average maximum temperatures from September to November, with the September forecast indicating that south eastern Australia may experience average to below average temperatures. Figure 6. September to November maximum temperature outlook, 30 August 2018. Minimum temperatures are forecast to be average to above average for Australia, except the south east of South Australia. The September forecast shows southern and the majority of the eastern coast may experience average to below average minimum temperatures in September. Figure 7. September to November minimum temperature outlook, 30 August 2018. The Bureau of Meteorology releases fortnightly outlook videos that cover all of this information. The end of month video can be found below. If you’re keen to know what each of our dogs is up to at the moment, look no further! They’re all available here. Enso is neutral at the moment, but BoM’s El Niño watch means that there is approximately 50 per cent or double the chance of an El Niño event this year. 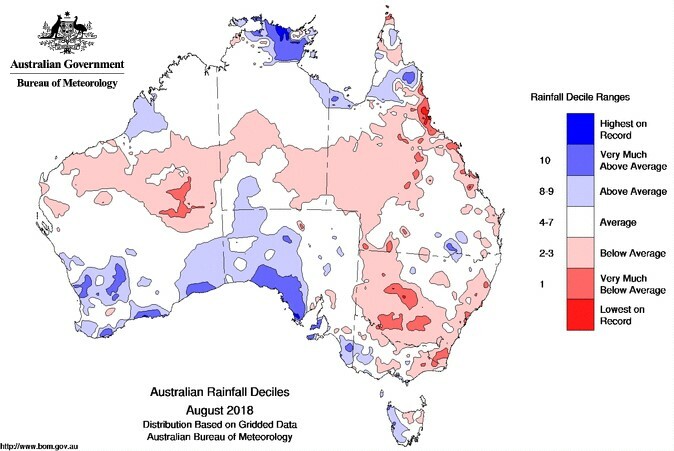 El Niño conditions have had an impact on the rainfall onset for northern Australia – BoM provide a great resource of northern Australia rainfall onset here. Indy is neutral at the moment; however, a positive Indian Ocean Dipole has been indicated by about half of the international climate models to form in the coming months. Positive Indy generally means below-average winter and spring rainfall across southern and central Australia. At the start of August, Ridgy had moved north allowing frontal systems to move more freely through southern Australia. Unfortunately, predictions have Ridgy again moving south which could prevent frontal systems from moving across southern Australia. From July to August, Sam moved from positive to negative, to positive again. Sam was particularly keen in mid-August by staying negative and providing plenty of rainfall opportunities. Sam has recently been in a strong positive phase. Come spring, Sam starts to have less influence over frontal rains. Eastie is a volatile dog and it’s hard to predict where he’ll pop up. Historically, June has been the month with the maximum frequency of East Coast Lows. It looks like Eastie is on vacation. Mojo’s intensity may increase over the Western Pacific Ocean in early September.